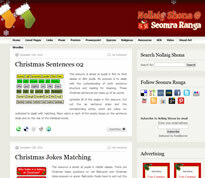 To mark the revamp of the Seomra Ranga website, we’ve teamed up with Poolbeg Press to bring you a great competition. 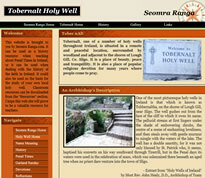 Poolbeg has developed an impressive set of twenty fact book readers based around the theme of Irish myths and legends. They call the series “In a Nutshell” because they tell the story for children in a way that is easy to understand and follow. The series includes stories like Oisín and Tír na nóg, The Children of Lir, Niall of the Nine Hostages, The Story of Newgrange, The Story of Brian Boru and lots more. The video below shows all of the books that are available in the series. The books are all available to purchase on the Poolbeg Press website. They would be a great addition to your class or school library. Poolbeg Press has given us one set of the full twenty books and two sets of ten of the books as prizes for the competition. To be in with a chance to win one of these three great prizes for yourself or your school, simply fill in the form below with your details and answers to the simple questions. The questions are all based on some Irish myths and legends. All entries for the competition must be in by 5pm Thursday August 17th. Only one entry per teacher is permitted. The winner will be selected on Twitter (@seomraranga) after this time. Please make sure that you give a contact email address that you can be contacted on immediately after the competition as teachers have previously forfeited prizes by not answering their emails promptly! Again, many thanks to the team at Poolbeg Press for generously sponsoring the prizes for this competition. Go n-éirí an t-adh libh! Disclaimer: The book prizes were provided by the publisher, Poolbeg Press, free of charge to Seomra Ranga for the purposes of this competition.